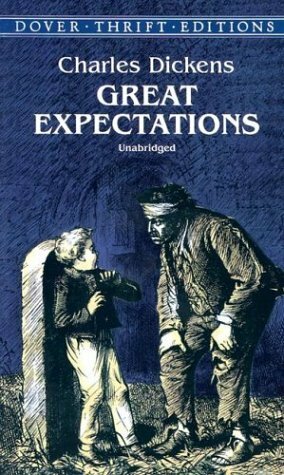 6 other truths about life that stood out to me from Great Expectations. 1) People sin against us for reasons that are very complicated, and often have nothing to do with us, but go back to whole histories and cycles of evil in the world. In other words, the brokenness of the world is complex and deeply ingrained. The great example of this in the book is Pip being mistreated Miss Havisham through Estella, something which goes back to her own personal wedding day tragedy. Whats fascinating is how, as the novel progress, this episode becomes connected to other cycles of tragedy in the plot. Our own personal sin narratives always bump into those of others around us. 2) Life never goes the way we expect it to. We are not self-made or self-determined. We are largely determined by events outside our control, both in our birth and during the course of our lives, and we are not in control of the things that happen to us. The biggest and most important things that happen in our lives are not things we choose, but things that choose us, so to speak. We are not just actors, but reactors in the world. Again, Pip’s journey of “self-improvement” is the great example – he is setting his sights on a particular destination, but he is not really in control of his life, and it takes him to places he never expected to go. 3) Redemption breaks into our lives in ways we do not expect, and gets chanelled out to others from us in ways we do not expect. For example, when Pip brings Jaggers and Wemick together, one of the plot turns I never saw coming. Related to this, redemption generally comes at the lowest points of our life. Just when we are broken, we can find the gospel. True hope is born after despair, true life is found through death, true light always shines right in the midst of darkness. 4) What comes around goes around. This is different from the law of Karma – we do not always get what we deserve. Perhaps a better way to say it: you can’t escape who you are and the consequences of how you live. Miss Havisham raises Estella to hurt others, and ends up getting hurt herself. Pip is kind to the convict, and reaps benefits he never expected. So with Pumblechook, Joe, Mrs. Joe, the convict, Herbert, even Wemmick. Again and again throughout the novel, people reap what they sow. 5) There is often a relationship between the ways we are sinned against, and the ways we sin against others. Pip is condescended to by Miss Havisahm and Estella, and therefore replicates this attitude toward others. I don’t think its a coincidence that when Miss Havisham begins to pity him, he is able to begin to pity the convict. 6) Life is filled with the agonizing death of dreams, but also with the joyful resurrection of new dreams. Pip dies to all his old expectations, but he discovers new things to live for in the process. In other words, life is more than we think it is. Life is bigger than we expect. There is more to it than we initially realize. When we get what we think will deliver, it lets us down. But joy is found in expected places.